The flag putting in front of the each tombstone tradition is going on. Visiting the Arlington Cemetery in Washington DC touches my feelings one more time. Remembering the all men and women who died in Military Service for the United States. My patriotic side keeps me busy while I would like come with meaningful inspiration. Memorial Day is the unofficial beginning of the summer season. Let us start the season by burning a candle or by lighting a fire pit in the backyard which covers all the good memories and all the good people. Backyard Fire pit Ideas would bring something from your childhood. 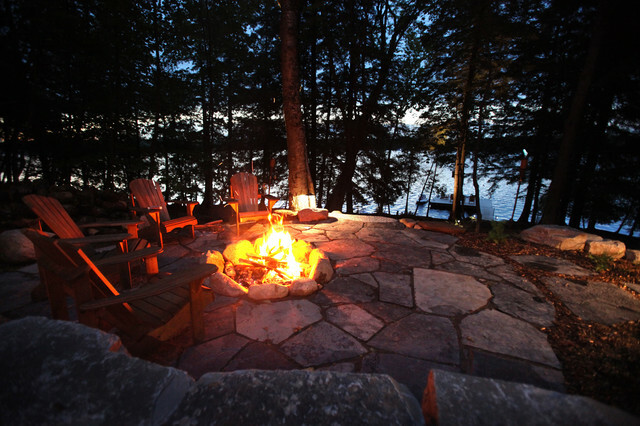 Some missing things like the simple fire pit, or the smell of the marshmallow, sweet conversations around the the backyard fire pit, or a nice unforgettable melody. Backyard Fire Pit Ideas transform by the time. Plenty of awesome additions like sitting and attractive materials make Backyard Fire Pit Ideas irresistible. The classic round shape of the fire pit convert into rectangle,square or oval. Historic Chinese Sunken fire pit becomes very trendy again. 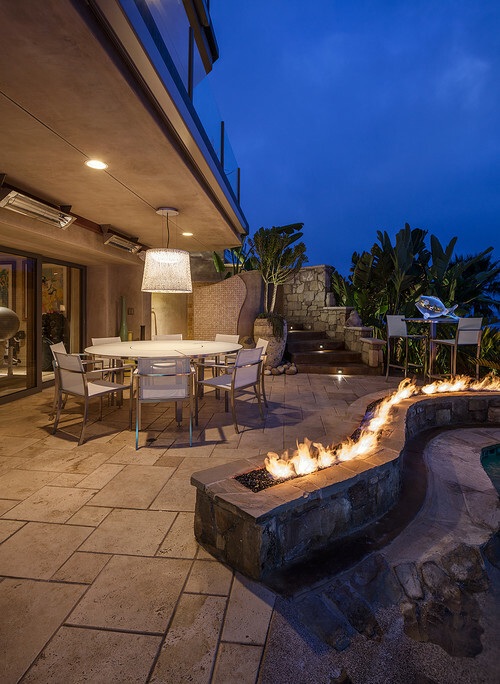 Nowadays, the backyard remodeling and landscape design strongly welcome the fire pit design ideas. For backyard fire pit ideas in picture , I would like to make a timeline, starting from old fashioned fire pit designs to the contemporary. Hope you like the pictures of Backyard Fire Pit Ideas what I picked for your review. Picture Credit: Linda McCalla Interiors, Rustic style fire pit.Good and old memories. Picture Credit: Natural Landscape Group. Adiron Decks and fire pit with a natural stone flooring . Flagstone perimeters. 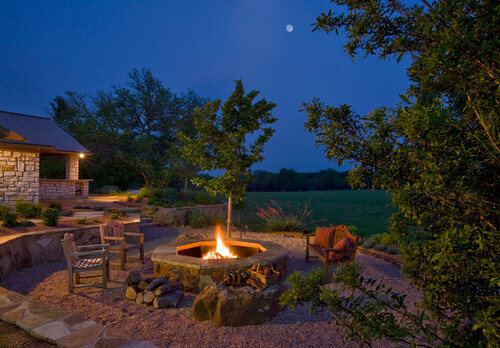 Traditional backyard fire pit ideas is very well defined in this picture. Picture Credit: Corynne Pless via Houzz. Shabby Chic style fire pit. I think it is made of a part of the cast iron boiler tank. 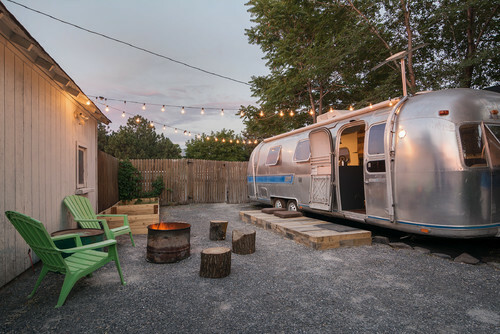 Picture Credit: Lucy Call , Eclectic style fire pit , old propane tank would be a good addition for your backyard fire pit ideas. Picture Credit: Blu Design Group. 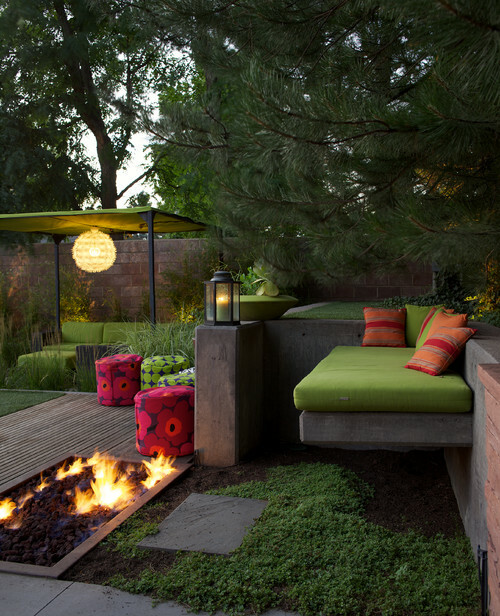 , Mid Century sunken fire pit in a cozy backyard. Backyard furniture colors catch the eyes. 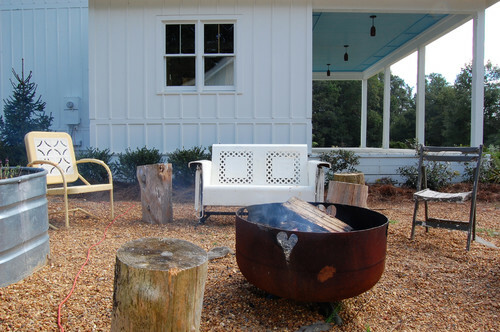 Picture Credit: Mary Andrews Limited., Southwestern style backyard fire pit ideas. Elegancy speaks. 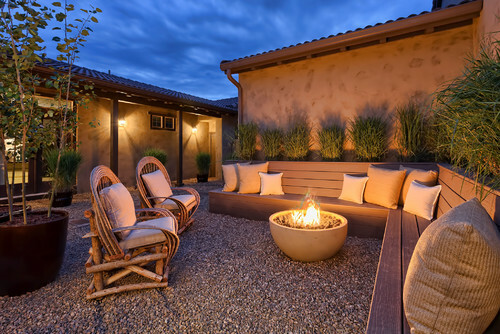 Picture Credit: dRichards Interiors., Tropical fire pit. I think it is called curvy style fire pit rather than wavy stye fire pit. Fresh and peaceful design. Picture Credit: Identity Construction., Contemporary L shape fire pit design. It seems very unique to me. 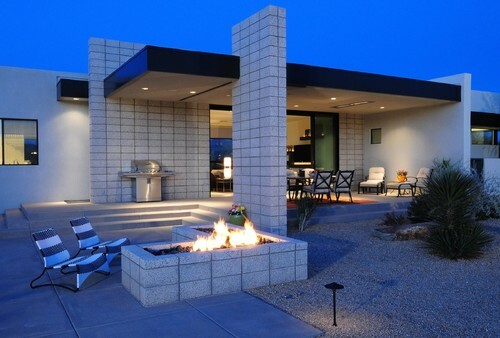 Picture Credit via Houzz., Modern style fire pit , very inspirational from ancient Chinese fire pit.